The first BRICKER steering committee meeting took place on March in Belgium where the BRICKER demonstration site of the University of Liège is located. The meeting was hosted by project partner Province of Liège who is the owner of the demonstrator. The BRICKER project aims at developing a scalable, replicable, high energy efficient, zero emissions and cost effective system to refurbish existing public-owned non-residential buildings to achieve at least 50% energy consumption reduction. At this six-month stage of the project, the meeting offered the opportunity for both hindsight and foresight, ensuring the project is on track to achieve its objectives. Coordinator and chair Juan Ramón de las Cuevas indicated that there was a good level of exchange and collaboration within the consortium and that he was pleased with how the project was unfolding. The partners were able to welcome BRICKER’s Turkish demonstration site to the consortium, the Adnan Menderes University based in the town of Aydin. The actual demonstration will involve the university hospital block for which lightweight façade coverings, heat recovery systems and parabolic solar panels among other will be fitted. 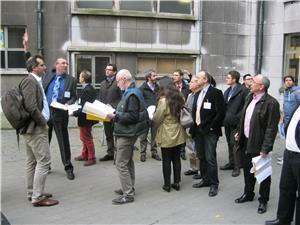 The meeting in Liège involved a visit to the Belgium demonstration site, home of an engineering college. Delegates were shown all over the building including the basement and top floor in order to be briefed on the technologies to be deployed during BRICKER. The visit looked at the heat distribution system, gas boilers, aerating windows, electric systems and was looking to identify final configurations for the integration of the BRICKER systems; biomass boiler, ORC cogeneration unit and solutions for PIR foam applications. Over the summer months, BRICKER demo site owners will be engaging in the public procurement process. This involves organising a round of tenders for the purchase of the equipment, materials and installation required for refit at the three demonstration sites. This was discussed at length at the steering committee meeting. 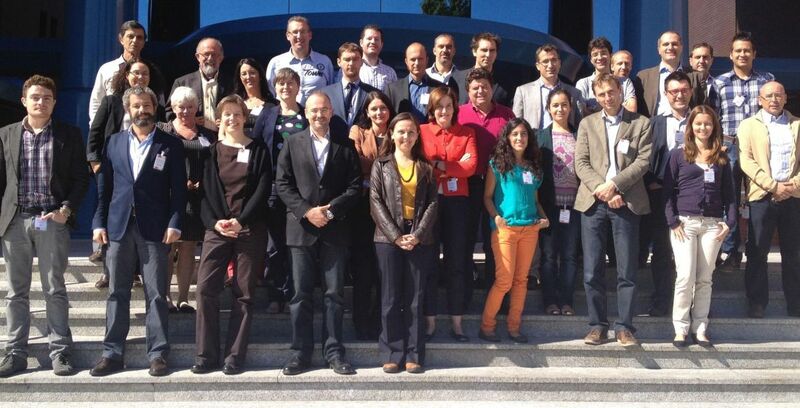 Already, we know that local providers at the Spanish site will be preferred for biomass boiler material. BRICKER’s replication potential was also discussed as it is closely linked to methodologies. This idea was taken up by Matteo D’Antoni from EURAC who emphasised that substantial guidelines for exploitation and dissemination are to be expected from the project’s integration work package.